I haven’t had this blog for too long, but long enough for you to know that I’m a sucker for cream eyeshadows. I had to give these KIKO ones a go. they’re a steal for 6,90€, and I usually really like the KIKO eye makeup products. 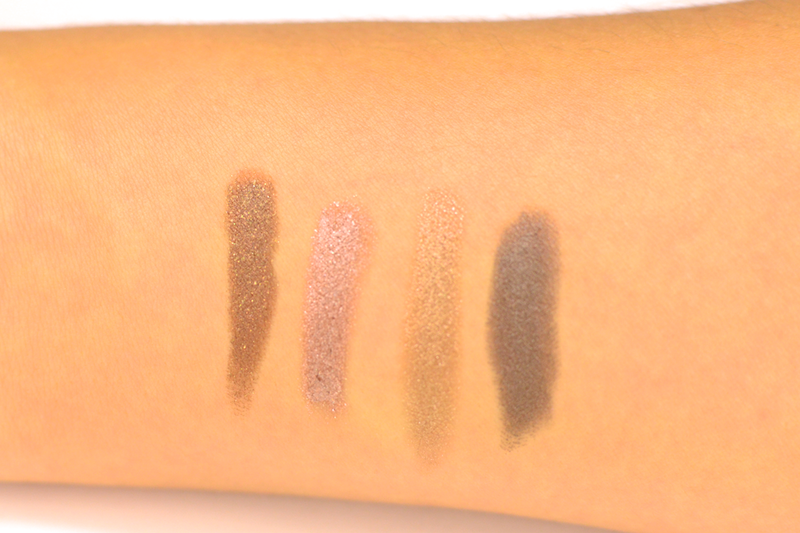 I bought four [yes, all very similar] neutral brownie metallic shades. I raised my eyebrow to number 4, because, despite having the perfect chocolate tone, it had some visible glitter in it. I’m not a glitter person at all. but… have I mentioned it had the perfect chocolate brown colour? I’ve given these a few test runs, and there are some good and not so good things about them. 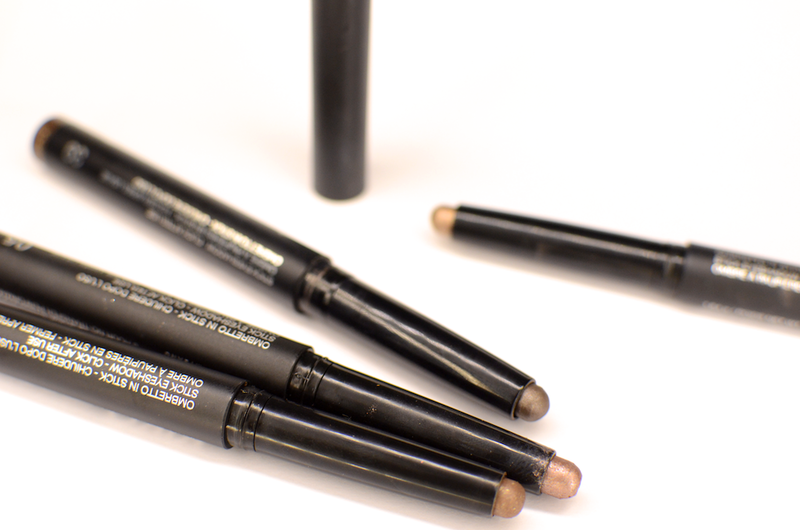 the texture is creamy and easy to blend, also easy to layer. the product sets in an ok time: not too fast, not too slow. it gives you enough time to blend. once set, it doesn’t move around. it doesn’t seem to crease on me either, even without a primer: it only starts to fade after a few hours, especially if it’s really hot outside. they have a huge array of metallic, shimmery and glittery colours, so you’ll find it easy to get something that fits *you*. the twist-up pens are really practical, the size of the nib isn’t too fine nor too wide that you can’t do your under-eye with it. on pointe, for me. the packaging feels sturdy [the Kiko design on these is quite clean with a matte finish, which I really like], the cap clicks, which means it preserves the integrity of the product for longer without drying out. these shades don’t last the full 8 hours – I wasn’t expecting it, for the price, let’s be honest. dont get me wrong: they last a pretty darn good time and they don’t crease, just fade away. if you apply a primer and/or you’re using a denser layer, the lasting power improves a bit. but, especially on a hot humid environment, don’t expect to have your eyeshadow on for the whole day/night. you can always lock it down with powder eyeshadow, or use just it as a base for your eye makeup, but, honestly, the colours are so beautiful on their own that it is almost a waste. another downside: they don’t do mattes. I knew it, I knew it but I just didn’t want to see it. it was just such a perfect chocolate brown, that number 4 – my eyes looked hazel instead of brown, it was that kind of an awesome hue… alas, about half an hour after it was set, every time I blinked some effing bit of glitter fell on my cheek, or inside my eye. once the colour faded away, I was left with a hot glittery mess all over my face, making me look like an Olympic figure skater – minus the elasticity, perfect poise, and crazy lycra leotard… it gets everywhere and you’ll be picking glitter off of your skin and clothes for days [as you often do, with glitter]. it seemed as if they forgot to turn the blender on and left those chunky glitters unblended by mistake, but I’ve returned to the stores and all of them are like that. such a shame, because they don’t make that specific colour without the freaking glitter. sigh. **I’ve noticed that on the website they don’t show true-to-colour swatches – they all seem to have the same satiny-metallic finish [if only! ], which isn’t real. I know for a fact that number 4 is not the only one with the chunky glitter situation, so be aware of that if you’re considering online-purchasing some of these sticks. oh, I’d really like to know your impressions on them!